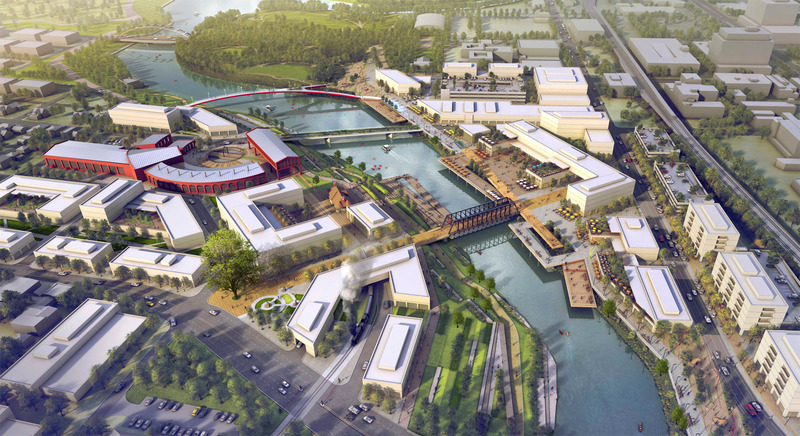 On February 4th, the City of Fort Wayne and its consultant SWA Group revealed the master plan for the 700 acres of downtown riverfront. 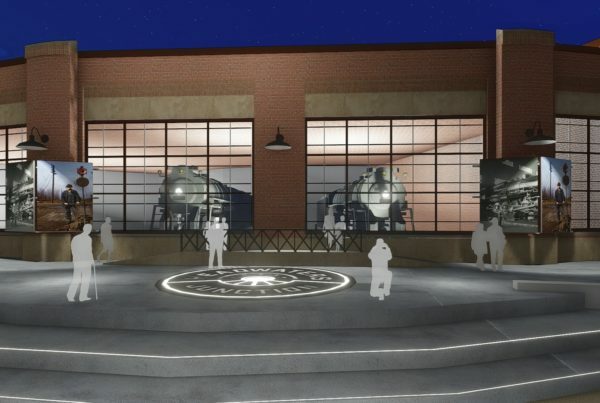 As part of the first phase of enhancements, SWA has recommended the inclusion of Headwaters Junction, a railroad tourist attraction featuring the collection and operations of the Fort Wayne Railroad Historical Society (FWRHS), including historic steam locomotive no. 765. “We believe that Headwaters Junction would be a catalyst for the riverfront and activate the entire area with the draw of this famous train. 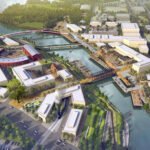 People come from all around the world to experience the 765 and now they’ll able to do it along the riverfront,” said Todd Meyer, Director of Planning and Urban Design for SWA. The inclusion of Headwaters Junction follows several years of planning and community input, wherein Headwaters Junction was endorsed by Legacy Fort Wayne as “big, bold, and transformational.” The plan has consistently ranked highly among the community since 2011 and was recently included among the top ten riverfront improvement priorities. 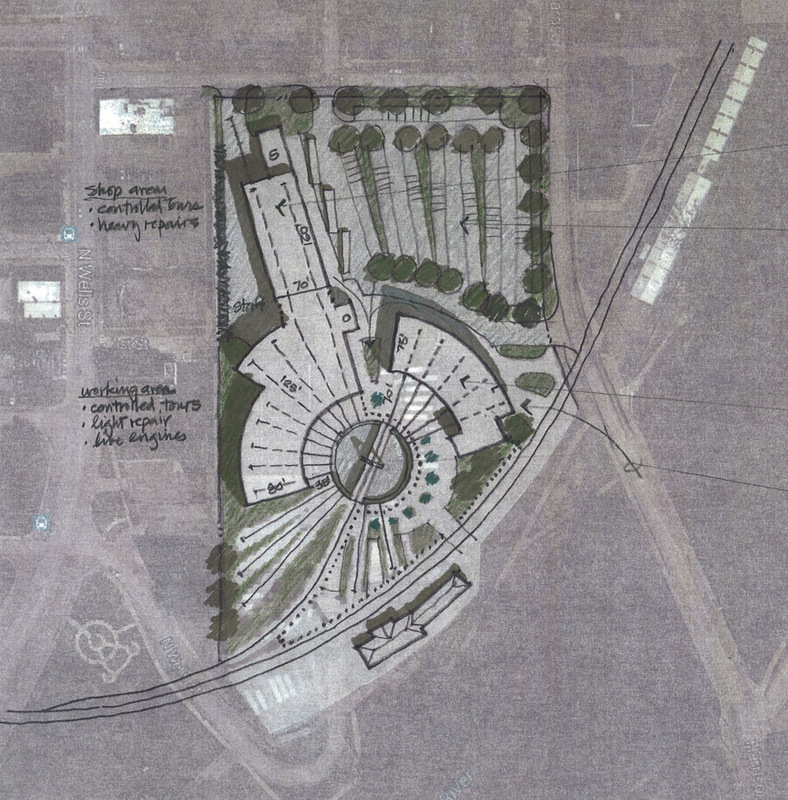 Initial plans call for Headwaters Junction to include a recreated roundhouse, a once-common structure in Fort Wayne that served many of the community’s railroads. 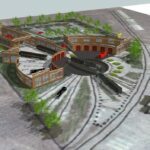 The roundhouse would be used for restoring and maintaining historic equipment and include a turntable, small railroad yard, and interpretive facility for display and exhibition, as well as a mixed use venue for private and public events. 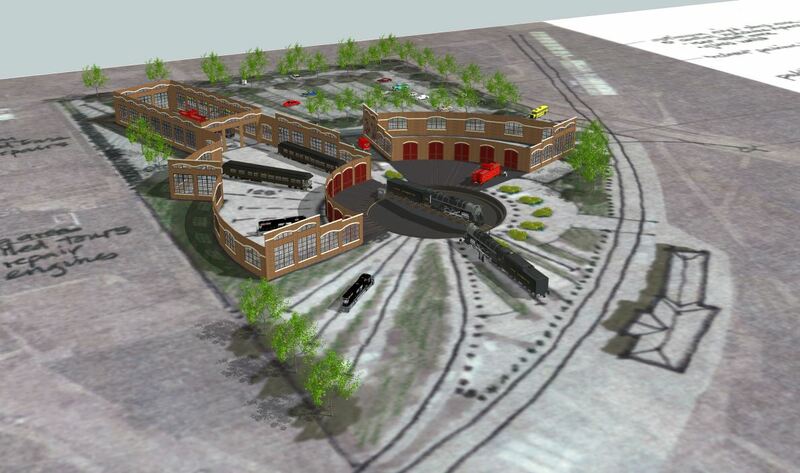 Visitors will be able to take rides, tour the facilities and participate in hands-on activities, and even operate real-life trains. Additionally, educational outreach programs targeting young adults would be offered, allowing high school students the opportunity to learn welding and preservation skills, as well as experience working on a railroad. “For the same reason that you don’t need to be a sports fan to enjoy a night at Parkview Field, you don’t necessarily need to be a lover of history or trains to enjoy the sights, sounds, and atmosphere of Headwaters Junction,” said Lynch. The Railroad Historical Society would utilize Headwaters Junction to expand its present operations, events, and annual programming. 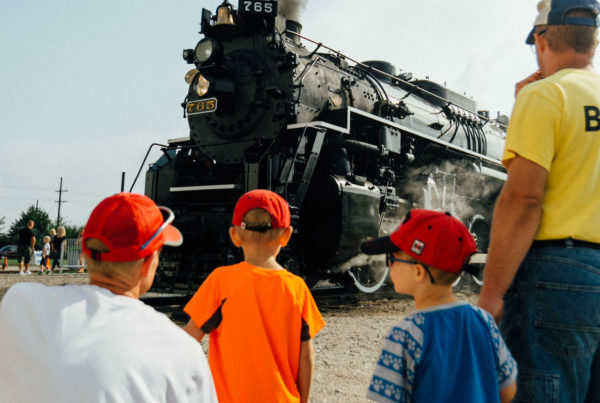 An adjoining railroad right-of-way would be reactivated for tourist train service with annual programming that would include events like dinner trains, the Polar Express and others throughout the year. 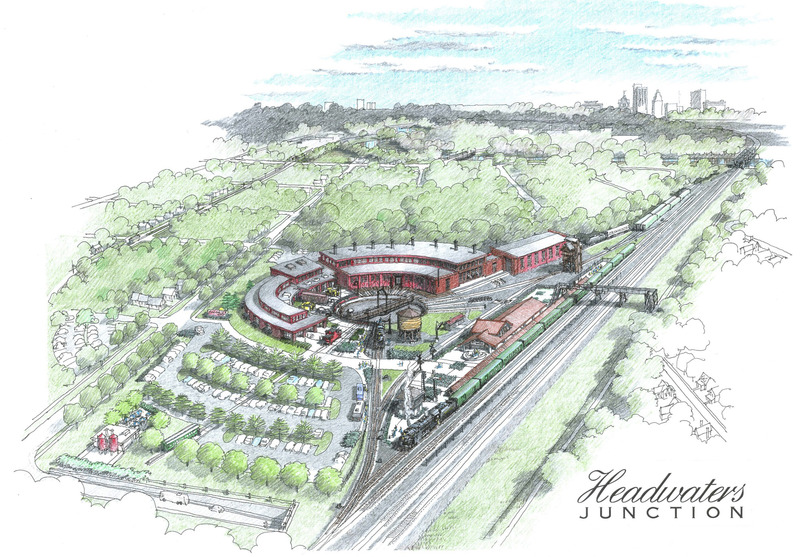 Additional images, videos, renderings, and information are available at headwatersjunction.com. Regional excursions behind the 765 could depart from the location at Harrison Street. 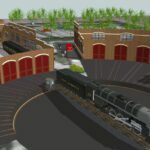 The attraction would also house other historic railroad locomotives and equipment, including another steam locomotive, which are conceived to also operate on the railroad line. Early estimates see at minimum 100,000 additional visitors downtown and an estimated economic impact of 9 million dollars from operations and out-of-town visitors each year. Comparable attractions earn anywhere from 100,00 – 400,000 visitors each year. Total cost for the entire riverfront plan is estimated at 200 million dollars, with projections for the construction of Headwaters Junction ranging between 10-20 million depending on its final scope. 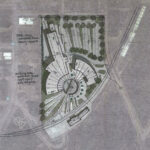 Headwaters Junction and the riverfront project as a whole will require significant public-private partnerships. As of this writing, the Society is exploring opportunities with potential corporate sponsors. In the past, the organization has raised hundreds of thousands of dollars for the restoration and maintenance of railroad equipment like no. 765 through donations, grants, and strategic partnerships. Recently, the organization’s annual Santa Train operations hosted 3,500 passengers in 16 hours. The Society’s excursions behind no. 765 are often filled to capacity, with its 2013 trips out of Fort Wayne selling out in less than two hours. During the 2014 Three Rivers Festival, no. 765 brought several thousand passengers from Detroit to Fort Wayne. Among the riders were passengers from South America, England, Canada, Texas, and California. In recent years, the 765 has been the centerpiece at events that have drawn crowds of up to 40,000 people. 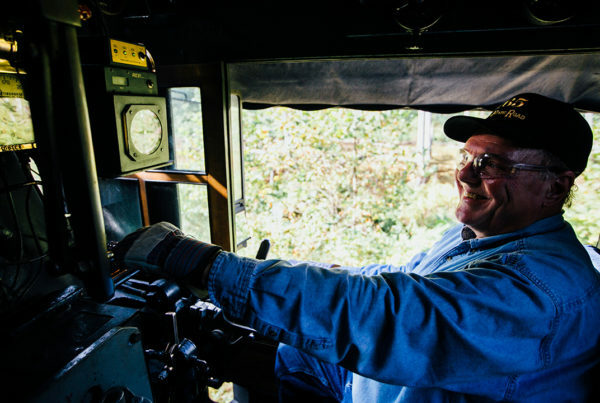 Currently, Norfolk Southern Corp., and the Society partner regularly to operate passenger excursions and employee appreciation trains throughout the railroad’s 22,000 mile system. The Society plans to pursue a dedicated feasibility study for the project in 2015 and plans to announce its excursions season with no. 765 sometime this spring. The renderings featured below are conceptual in nature and provided for conversation and illustration. Final scope, arrangement, placement, and neighboring structures are to be determined. Headwaters Junction, upper left, with feature a recreated roundhouse and railroad attraction with operating tourist trains and annual programming.